As Dubai begins its preparation to host Expo 2020, the Shaikhani Group of Companies has unveiled its 2025 development plan that aims to roll out at least four new projects in the coming year and more thereafter. The Dubai-based company on Sunday launched its Dh220-million Gardenia Residency 1 in Jumeirah Village Circle, with investors being offered a post-completion payment plan of up to 10 years by banks. Work has started on the project, comprising 133 serviced apartments, and is expected to be completed in June 2018. “The investors in the project will have to pay 50 per cent during the construction phase and can avail of 10 to 15 year payment plan from banks,” company Managing Director Mahmood Shaikhani told Emirates 24|7. The company is in talks with three banks – Mashreq, Noor Bank and Commercial Bank of Dubai for home financing. Shaikhani Group of Companies, which has just commenced handover of Dh338 million Frankfurt Sports Tower I in Dubai Sports City, will be launching four new projects in Jumeirah Village Circle. “Two of the three projects in JVC will be the next two phases of Gardenia Residency and one will be a high-rise tower. 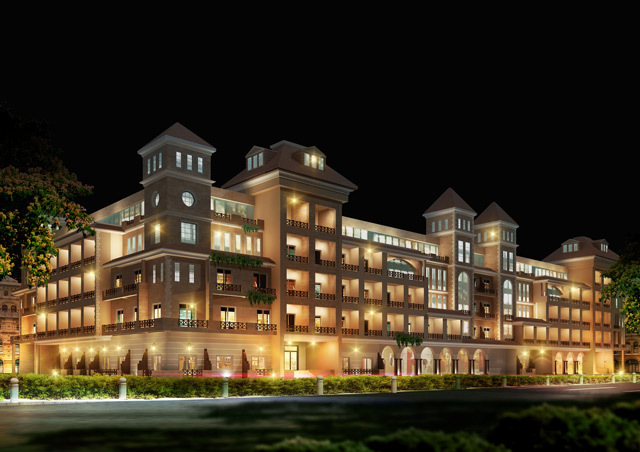 The fourth project will come up in Arjan in Dubailand,” Shaikhani said. The new projects are planned to be completed and handed over by 2020. The total investment in the new projects will stand at Dh2 billion, which is in addition to the Dh1.5 billion worth of existing projects, spread in Dubai Sports City (DSC) and Dubai Silicon Oasis (DSO). “We will deliver three residential towers in DSC and Cambridge Business Centre in DSO in the coming months and will use the funds from these projects to finance our new projects,” he revealed. In March 2016, Dubai announced winners of the three theme pavilions of Expo 2020. The Opportunity Pavilion is being designed by Bjarke Ingels Group; the Mobility Pavilion by Foster + Partners and the Sustainability Pavilion by Grimshaw Architects.